We talk about Israel’s long and secret history of assassination with Ronen Bergman. His book is Rise and Kill First (Random Penguin House, 2018.) Then, Norman Finkelstein tells us about the devastating impact of Israeli policy on the civilian population of Gaza. His book is Gaza: An Inquest Into Its Martyrdom. 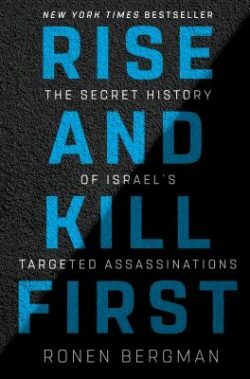 Ronen Bergman’s book Rise and Kill First is an in-depth investigation into possibly the most secret program of the most secretive security apparatus in modern history: Israel’s targeted assassination program. He concludes that Israel’s assassination program, despite its goal of protecting Israel, has had a corrosive effect on the peace process, as well as on the country’s democratic institutions. Ronen Bergman is the senior correspondent for military and intelligence affairs for Yedioth Ahronoth, Israel’s largest daily paid newspaper, and a contributing writer for The New York Times Magazine. He has come under attack for Rise and Kill First from many in the Israeli state, but he stands by his findings — the fruit of interviews with some 1000 sources in Israel’s security agencies and government. On March 30, Israeli forces fired on a crowd of thousands of unarmed Palestinian protesters, killing 17 and wounding more than 1400. The Palestinians were peacefully demonstrating at the fenced border of the Israeli-blockaded Gaza Strip, asking for a right of return to the villages and towns where their families lived before 1948, when Israel expelled them. Watch the Human Rights Watch video below. Most of Norman Finkelstein’s ten books have centered on Israeli policy toward the Palestinian people. He has been a fierce critic of that policy, well before others had the courage or even the awareness to speak out against it. 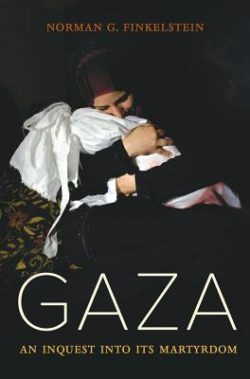 His latest book is Gaza: An Inquest Into Its Martyrdom (University of California Press 2018). Others include Image and Reality of the Israel-Palestine Conflict and Knowing Too Much: Why The American Jewish Romance With Israel Is Coming To An End.